@scanner_darkly there’s someone on Instagram who has connected his 2 Devices to 1 using his USB cable on the back side because, “I don’t have dedicated 5V from my power supply.” Just to be clear, he can connect his 12V power and the device will supply what he needs right? Assuming he has up to 600mA available. I’m planning on doing this since my skiff only has 300 on the 5v rail. The key thing is that you must not plug into the 12v euro power. no manual, sorry, thought it didn’t really need one! i’ll put something together. power: whatever power you supply will be used to power grid/arc/keyboard or whatever else you use it with. so the power requirements are determined by what you connect to it (grid 128 can draw up to 600mA, for instance). you can power it either from a regular USB power supply via the USB B port on the side, or you can power it from eurorack power - but not both at the same time. if you power it from eurorack it will require +5V rail (and again, make sure you have at least 600mA available on +5V rail). not sure if this answers your question? or are you asking if 2 > 1 would convert 12V to 5V? no, you have to have a powered +5V rail. 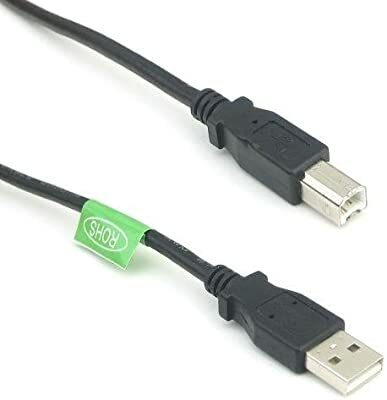 Anyone have a good source for a short, solid USB-A-male to USB-B-male cable? Got mine from Amazon. It is ~20cm, end-to-end. That was me. I had planned to just leave it on the table as a converter until I got better power supply but after some rearranging I freed up some space. It’s ugly right now but it cuts down on extra floating wires. Sorry to add confusion. 6 inch works if 2 > 1 is immediately to the left of Teletype. This is the exact one I have. Works great. could people that use the switch with any keyboard model different than the one that comes wit teletype post here? i will try to solve the issue for the model above but in the meantime want to make sure it’s not a wide spread issue. I currently use a WASD VP3 and just tested a WASD V2, both work without issue. it’s a Techkeys SixKeyBoard, and has also worked without issue. That works with USB 2.0 cables as well? If so, I definitely want one as well to pair with the 2>1 for exactly what you’re using it for. 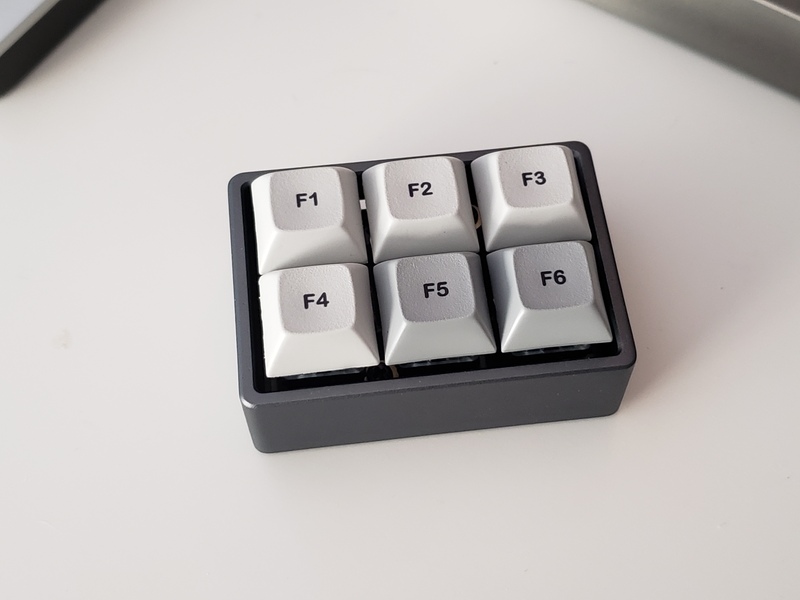 Question: I have a Monome Switch that I use to send a Grid to both an Ansible and a Teletype. I power the Switch with a 9V DC in. and run a keyboard into the other input of the 2>1. Is it possible to do this and have the Grid powered “properly”, i.e. not draining 600 mA off my Euro busboard? I’d like to both avoid noise issues and also not use the busboard power if possible, since it’s in a MN skiff and 600 mA is at least half the available power. IOW I’d like to use the Switch to power the Grid and only use the 2>1 for its peripheral switching abilities. 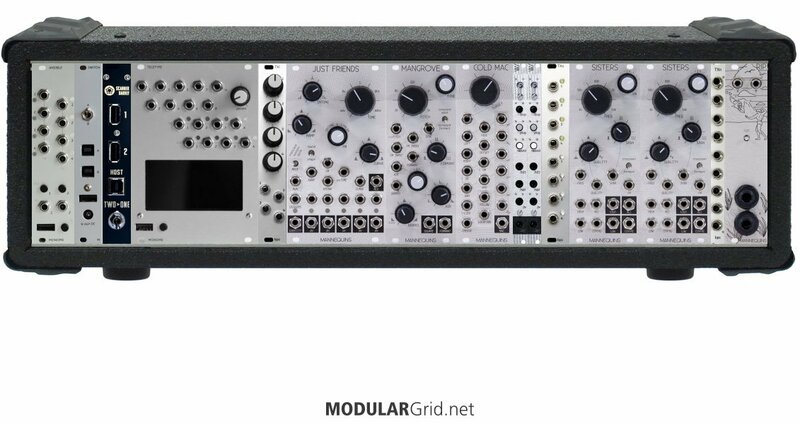 yes, to avoid using too much power from your euro busboard you can connect grid to 2>1 via monome switch as you describe: grid->switch->2>1->teletype. to make sure i just tested this very setup and can confirm it works. you would still need to connect 2>1 to power since you’ll need it for the keyboard. if you do use this setup make absolutely sure to not accidentally connect grid directly to 2>1 or teletype at any point! iirc MN skiff cannot provide sufficient power, and bad things can happen if you try and power grid from it. also, 600mA is just for the +5V rail, not the overall power, so you might have even less than you think. edit: alternatively, you could just house 2>1 outside a case and power it from a usb power supply. also, 600mA is just for the +5V rail, not the overall power, so you might have even less than you think. The MN skiff supposedly provides 1A on the +5 rail, but I’m sure that’s optimal rather than real world. I’ll check my MG tally to see what else is drawing off that rail. Edit: turned out I was drawing 0mA on the 5V rail so it would have been fine; but, at this stage I still want to use my Ansible, so Switch stays, a Mangrove had to go, and Rip gets to come back. Thanks for making this module @scanner_darkly! nice setup! don’t forget you can also use 2>1 to switch ansible between grid and arc. that shouldn’t cause any issues. i did some investigation on the keyboard that was reported not working with 2>1. i ordered the exact same model, and i’m not able to reproduce the issue. the person who reported the issue also confirmed the module works with another keyboard. at this point i have to conclude the issue was likely due to the keyboard itself. does a 4MS row40 have 5v rail compatible with this module?